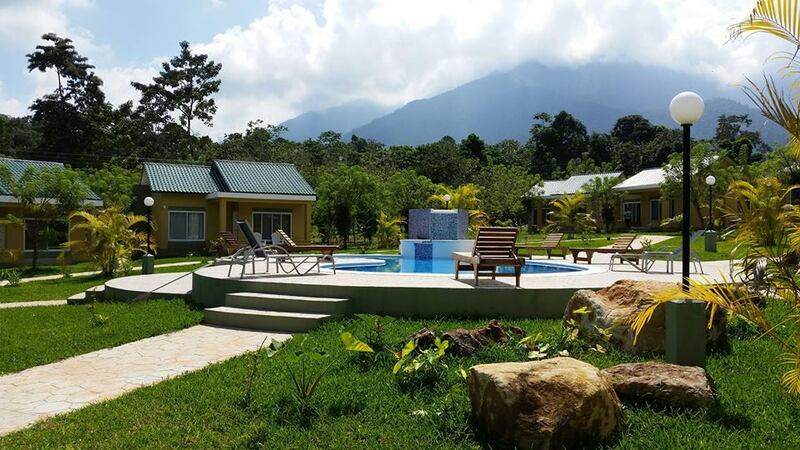 Hotels West of La Ceiba offer access to both Pico Bonito and Cuero y Salado! The area to the West of La Ceiba offers access to Pico Bonito National Park. The most outstanding area where you can find hotels in this section is around the community of El Pino. Following are the options of hotels west of La Ceiba where you can stay. 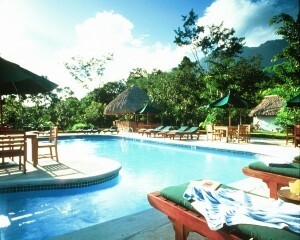 Regardless of what anyone might say, Pico Bonito is the premier eco lodge in Honduras. Set at the foot of Pico Bonito itself. This luxury jungle lodge offers 22 deluxe rooms, some with air-conditioning, with all of the amenities you would expect in a hotel of its class. The network of trails that leads around the property is beautifully manicured. After dark, jaguars, ocelots and pumas roam the same trails that you hiked during the day! Canopy level observation towers are ideal for bird watching. The creeks surrounding the property provide for outstanding hiking and beautiful waterfalls hidden in the jungles. The Lodge at Pico Bonito also offers a gourmet full service restaurant and bar as well as meeting facilities. If you are looking to pamper yourself or your significant other, this is the place to go! The property is a member of the Small Luxury Hotels of the World program. This is without doubt the leading hotel west of La Ceiba. The Resort, with Pico Bonito National Park in the background. A lovely, first world residential site built as a retirement or winter home for Canadian citizens, Corinto Pearl offers one and two bedroom villas with a full service kitchen, living and dining room area. The property is in a beautiful hardwood tree plantation, within walking distance of the Lodge at Pico Bonito. A nice pool, and a restaurant facility provides comfort to the guests staying here. Stroll around the lemon and black pepper plantations within the complex, enjoy the views of Pico Bonito National Park and relax in comfort! Telephone: (504) 2442 0490. 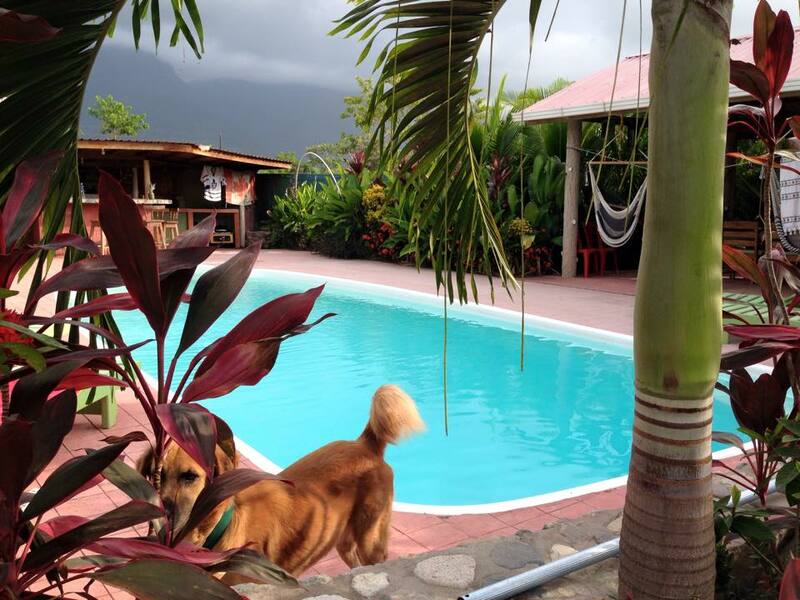 Certainly one of the best alternatives if you are looking for hotels west of La Ceiba. Located on the far western end of Pico Bonito National Park, the Rio Santiago Nature Resort is a small 4 cabin property that specializes in bird watching tours. You will be dazzled by the dozens of hummingbirds buzzing around the strategically placed feeders, as well as by the abundance of tropical birds and other wildlife. The property offers 4 cabins that can sleep up to 4 persons each, as well as a nice swimming pool. To get there, take the CA13 highway in direction of San Pedro Sula, and take the detour to the left just before the Rio Santiago bridge. It is between the communities of Santa Ana and La Masica. Located between the Village of El Pino and the Caribbean Sea, in El Porvenir, Pico Bonito Village offers quiet apartments within a nice, secure environment, with their own pool, full kitchen facilities and easy access to the attractions in the area, mainly Pico Bonito National Park, the beaches at El Porvenir and the Cuero y Salado Wildlife Refuge. 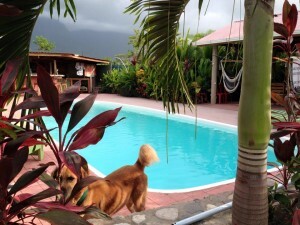 Owned by a friendly Canadien who has retired in Honduras after working in the hospitality business for many years, Pico Bonito Village is ideal for an extended stay in the area. It offers reasonable monthly or weekly rates. Nathan, the owner, is extremely friendly and can cook up a great meal with a bit of advance notice.